It was very well organized and a lot more manageable than two years,when it was nearly impossibly to navigate the main hall, due to crowds! a variety of schools , displaying their scientific experiments. 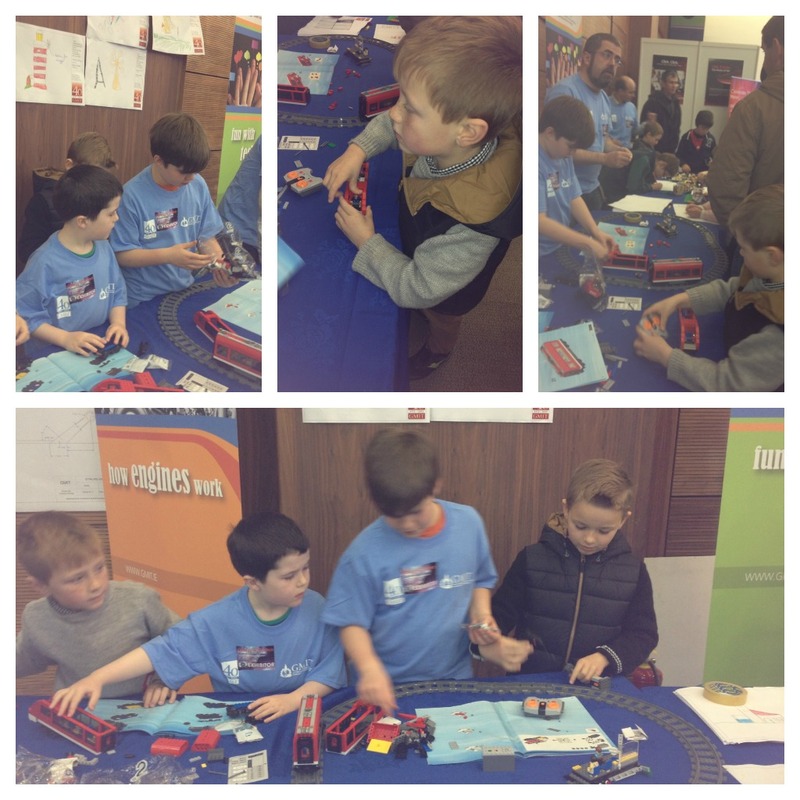 The kids loved it, particularly the stand of the engineering stand , where they could play with …. Lego! Below you see a picture of the boys and another boy at the Engineering stand. I had never really heard about this , but I think it’s a great initiative and if your kids/schools are interested in taking part in this challenge, you can contact them via this email Once an adult or teacher can get 6-12 interested children together, a team can be made.They are no longer taking applications for 2012, but maybe it’s something you can get involved with in 2013. As someone said to me yesterday if your child at a young age likes playing with Lego, fast forward 20 years, they might become an engineer. I am enclosing a small clip of a moving robot/spacerobot that the pupils programmed to make those moves. Another really exciting initiative is Scratch, which was showcased by Avaya. It’s an interactive software programme aimed at primary and post primary pupils which will allow students to create interactive stories, animations,games, music and art and share their creations on the web. The inititiave is very closely linked to Coderdojo, which I covered in another blogpost a while ago. Rueben was quite intrigued by putting a stent into a display of a heart at the Boston Scientific stand, loved watching through a miscroscope at the content of a teabag( I can see rocks he said) and controlling a submerged robot at the Marine research stand, was the icing on the cake! We managed to get into the Blackrock Castle Observatory’s StarDome activity, which was a dome which looked a bit like a bouncy castle, as it was walls were filled with air, with a very narrow entrance, and required a swimming motion to open the doors then step into the middle and another swimming motion to get in the dome(hence the title of this blog article). Once we sat down on the floor, a very interesting display of the various star formations at night was shown, planets and their history, and a futuristic glimpse into 2075, where a grandad ( who origanlly came from earth) lives with his grandchildren on the moon. Anything is possible:) who knows! A thoroughly enjoyable day was had by all, and we are already looking forward to next years Galway Science & Technology Festival Exhibition! 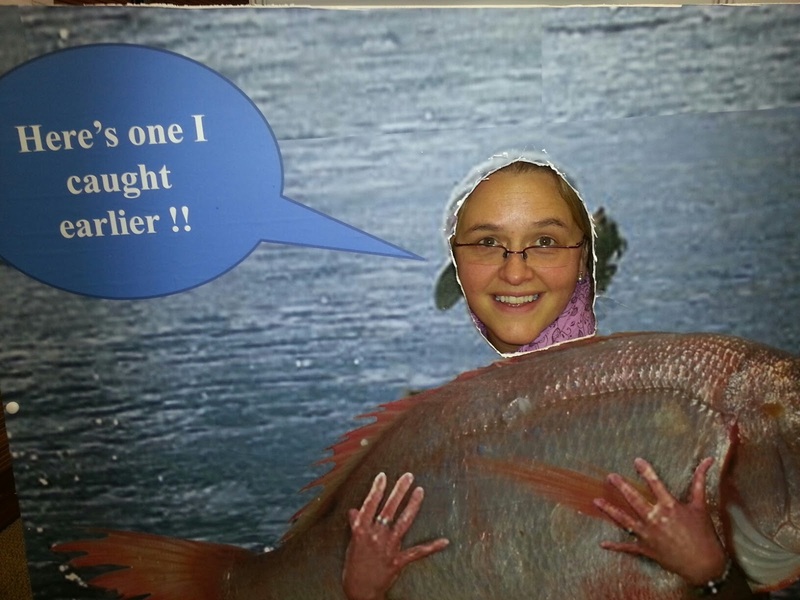 And hey, I even caught a fish!